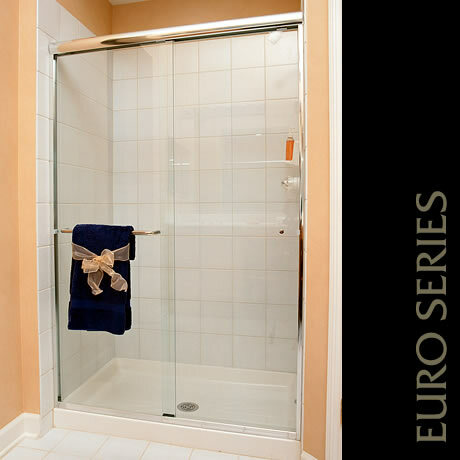 The Euro Series enclosures are are available in FIVE trim levels. 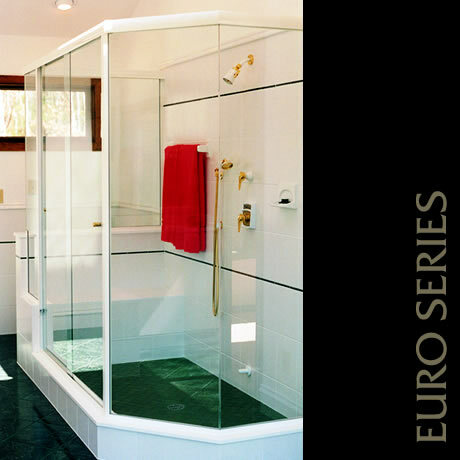 Light Euro Series, Traditional Euro Series, Euro Series, Platinum Riviera Euro Series, and the Heavy Euro Series. 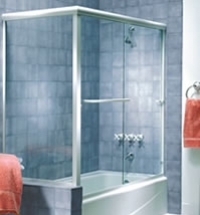 Optional features include the Cardinal S-Curve glass and recessed finger pulls. 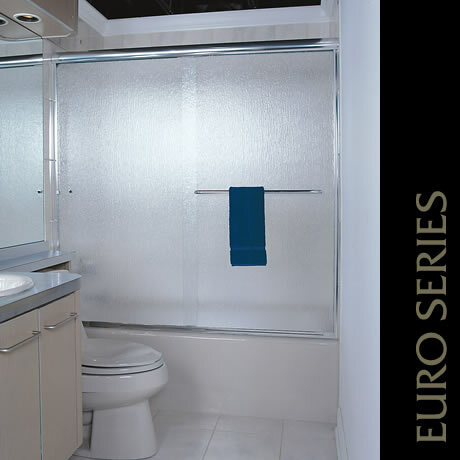 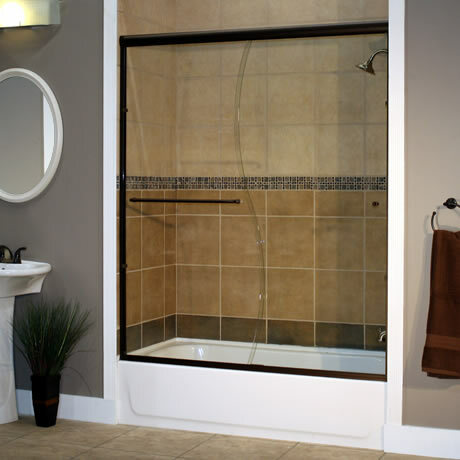 The Heavy Euro series can accommodate our patterned 3/8″ glass or a 3/8″ Venetian Cast Glass pattern.